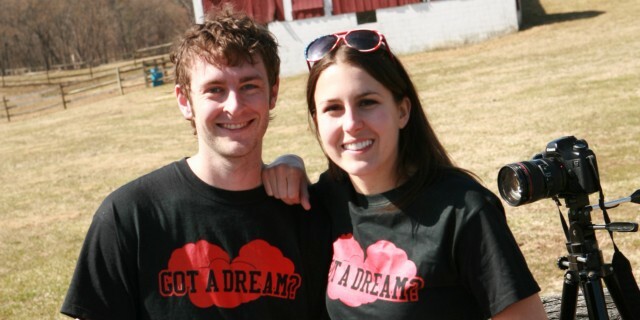 Chip Hiden and Alexis Irvin are the team behind The Dream Share Project film, workshops, and book. Our mission is to encourage and help you discover and pursue your dreams. 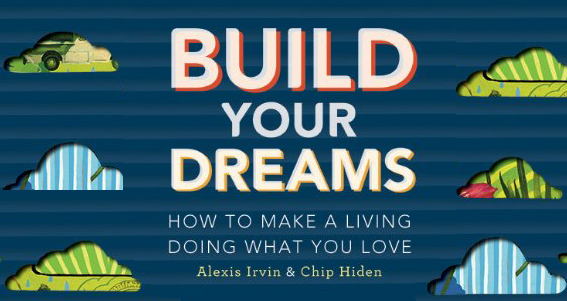 Our first book, Build Your Dreams: How to Make a Living Doing What You Love, is a detailed guide to help you discover your dream and help you turn your passion into a profession. The book provides everything you need to know to find or create your dream job. Build Your Dreams is in bookstores everywhere starting July 9, 2013 and is published by Running Press. We have screened The Dream Share Project film, led our Chase Your Dream! 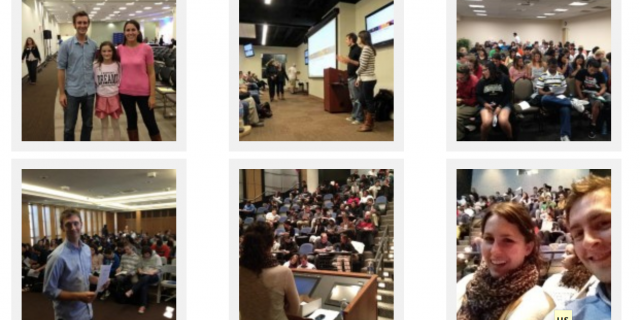 workshop at over 200 colleges, universities, and schools across the U.S. We’ve also developed a 63-page curriculum with 5 lesson plans for teachers to use The Dream Share Project film and Build Your Dreams book in class. Alexis Irvin – Alexis graduated from the University of Maryland, College Park, with a degree in print journalism. She spent her college years exploring politics – interning for a Congresswoman, editing a political research journal, and registering young voters for the non-profit, Rock the Vote. Alexis wants to write, pursue social justice, create art, travel the world, and leave it a better place than she found it. Chip Hiden – Chip graduated from Washington College with a degree in history. In college, he started Chipapalooza (a non-profit that raises money for diabetes research), founded a campus radio station, and planned all-campus concerts and events. He has a passion for adventure, charity, music, and entrepreneurship. Chip’s life mission is to wake people up to their true potential. You can contact Chip at Chiden2@gmail.com. The Dream Share Project is a member of the Creative Visions Foundation, a nonprofit organization inspired by the life of Dan Eldon, a young Reuters photojournalist killed in Somalia in 1993. CVF supports and inspires creative activists – people who use media and the arts to make real change in the world around them.You can learn more about the Creative Visions Foundation here and learn about our Creative Activist Project here.